As many get ready to dip into the icy lake for the New Year’s Day tradition, we should look back at the hardy men and women of yesteryear who began the annual tradition. According to a Milwaukee Sentinel article from February 16th, 1919, printer James G. Brazell was the originator of the swim, starting it in 1910 and swam every Sunday through the winter. His compadre and fellow pioneer polar bear was Frank Sutter. 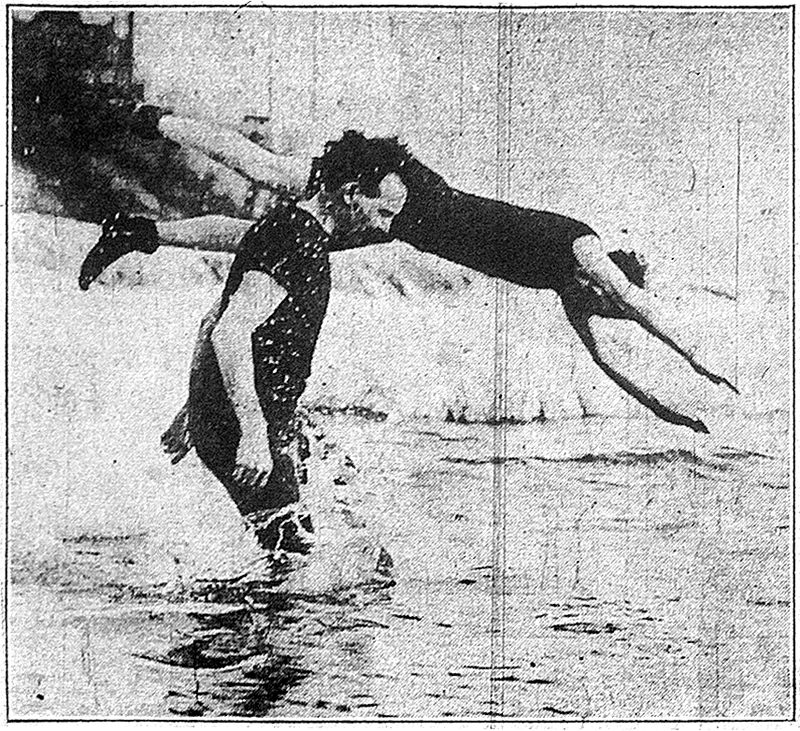 By 1919, even women like Amy Jacobs, the “Nymph of Boreas”, jumped into the water for a swim. During the great Milwaukee blizzard of ’47 Brazell jumped with wild abandon into the dark waters of McKinley Beach. Read Jim Stingl’s column from December 30, 2008 for more history of the swim.